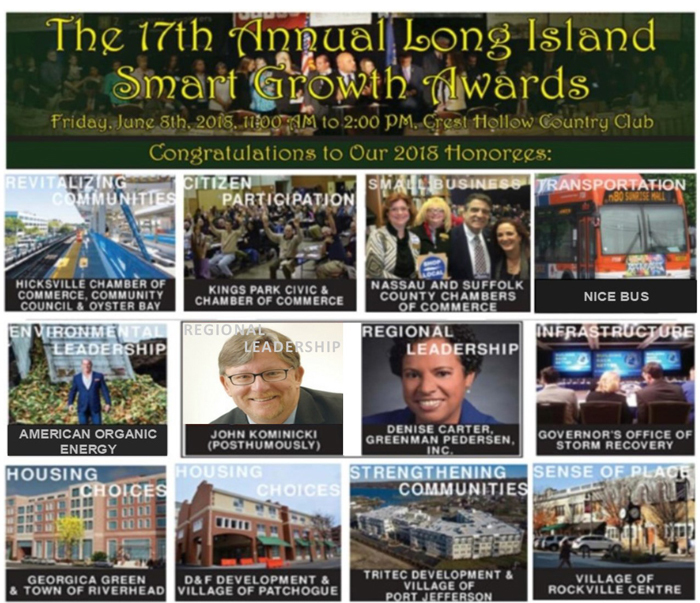 Announcing the 2018 Long Island Smart Growth Awards Honorees! Please join us in congratulating the Honorees for the 2018 Long Island Smart Growth Awards! Registration is now open! We have received over 45 deserving nominations and the winners start with Regional Leadership Awards to John Kominicki (Posthumously) and Denise Carter of Greenman Pedersen. 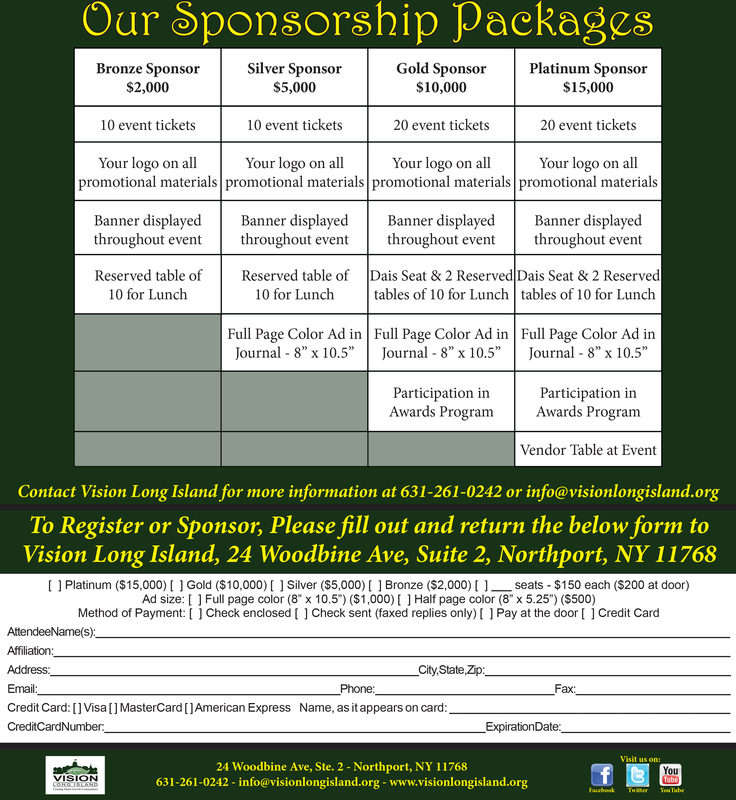 The project and organizational honorees includeGeorgica Green and Town of Riverhead for Housing Choices as well as D&F Development and the Village of Patchogue; Nassau Council of Chambers of Commerce and Suffolk County Alliance of Chambers for Small Business; Village of Rockville Centre for Sense of Place; Hicksville Chamber of Commerce, Hicksville Community Council, and Town of Oyster Bay for Revitalizing Communities; Kings Park Civic Association and Kings Park Chamber of Commerce for Citizen Participation; Tritec Development and the Village of Port Jefferson for Strengthening Communities; Long Island Compostfor Environmental Leadership; NICE Bus for Transportation Choices; and the Governor’s Office of Storm RecoveryCommunity Reconstruction Program for Infrastructure. The event is annually attended by a broad array of community, government and business leaders. Last year’s luncheon featured over 900 guests so secure your spot now!